Phoenix AZ Wig Hairstylist | Stylistic Inc.
Wigs can often be misunderstood by those who have not personally had to wear one or aren’t experiencing any type of hair loss. All too often, misconceptions about this hair loss solution begin to rise and before we know it, our most natural-looking wigs that have benefited so many turn into a false nightmare about fake hair. Fortunately, we’ve gathered some of the biggest myths about wigs to debunk and help set the record straight! It’s obvious when you’re wearing one – no, you look natural! Today, wigs are made so well, looking more natural and healthy than ever before. Often, they’re made of real hair. In fact, some of your favorite celebrities wear wigs and you wouldn’t even know it! It’s too hard to care for one – no, it’s not! In the same way that there’s a learning curve with styling your own natural hair, the same goes for a wig. It takes time to perfect the perfect chignon or bombshell curls and you wouldn’t expect yourself to be a pro right away. With time, caring for your wig will become second nature to you. Wigs get too hot and feel uncomfortable – no, caps will keep you cool! Certain wig styles offer different types of caps to help air flow which in turn keeps your head cool. The new Follea Gripper Cap provides more breathability and helps wick away moisture, perfect for the summertime. Wigs are expensive – not if you go to the right place! 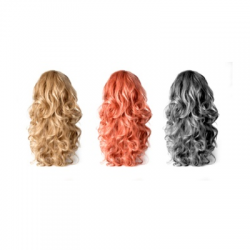 Wigs come at all price points and there are many affordable options. The right wig specialist will be able to determine your needs and help you get the best bang for your buck. Stylistics, Inc. is a full-service hair salon located in central Phoenix that strives to find the hair loss solution that’s unique to every client. Call us at 602-234-3381 to learn more about our hair systems or schedule an appointment!